The federal New Starts program helps local transit agencies build large and high impact transit projects; Metro is seeking $2 billion of New Starts money to help fund the Purple Line Extension and the Regional Connector. 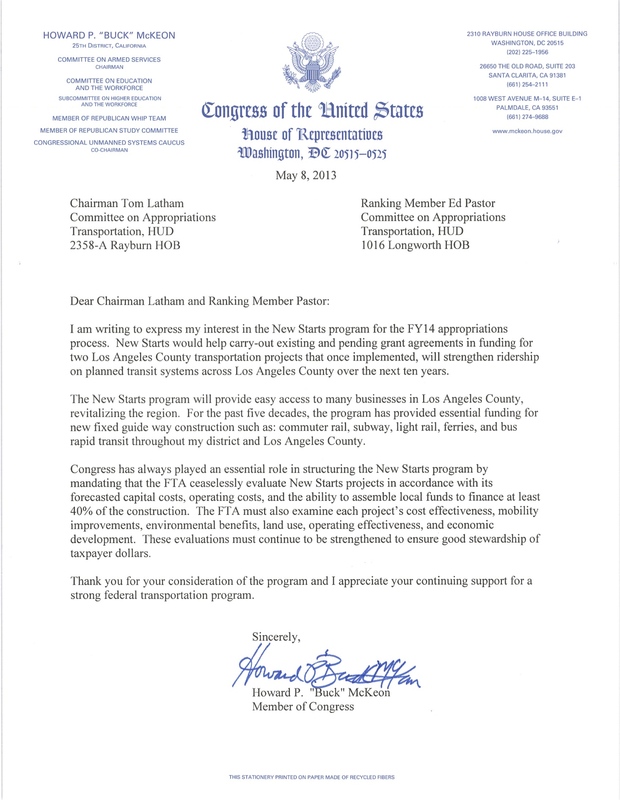 The letter from Rep. McKeon (R-Santa Clarita) is very helpful, given the uncertainty of transportation funding in Congress these days. The 25th district that McKeon represents includes Santa Clarita, Palmdale, Lancaster and parts of eastern Ventura County.